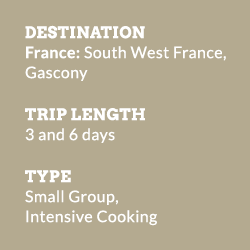 Located in a beautiful quaint village the heart of Gascony, we offer a cooking holiday with a difference. Explore this wonderful unspoilt region of France and discover why it is famed for its culinary excellence and amazing wines. 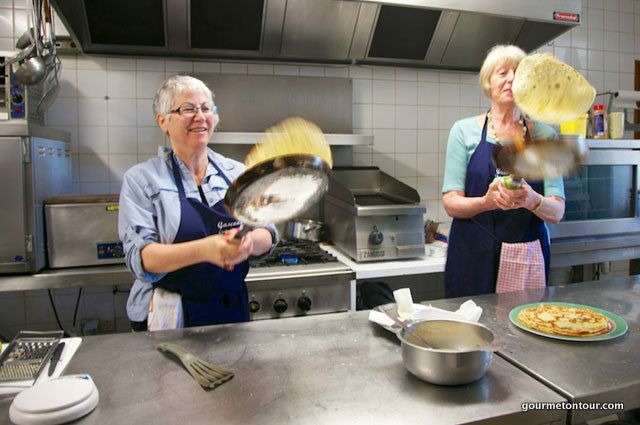 With the combined knowledge and experience of two professional chefs, our French cookery course are not only thorough, practical and accessible to all, but also very fun. Gascony still remains one of the most “French” parts of France. It is largely unspoilt by tourism, industry and retains a great deal of character and charm. It is a stunningly beautiful yet hidden part of France where life is simple but vibrant, where the markets bustle and the wines flow, where people make time for you and each other. The department of the Gers is situated in the South-West of France between Dordogne and Pyrenees and between the Atlantic Ocean and the Mediterranean Sea. The heart of it is often described as the Tuscany of France. 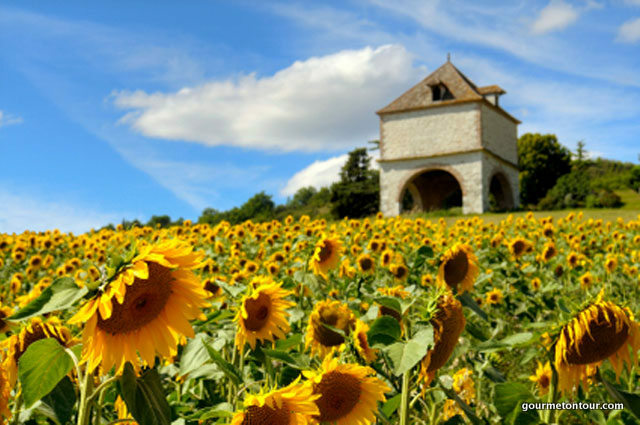 It is a region of gently rolling hills, hilltop Bastide towns & villages, golden sunflower fields and an abundance of rivers and wide-open spaces. The location of the cooking school in a charming village has been specifically selected by your hosts for the region’s famed gastronomy and beautiful surroundings. It is a perfect setting to learn and savour traditional French cuisine. Gascony is a land of rich and fertile soils which has historically elevated its produce and cuisine to the top of the French culinary table. It is still very much a farming region, a land of wheat, maize and sunflower fields and fabulous wines with Armagnac being the oldest of the French eau de vies. 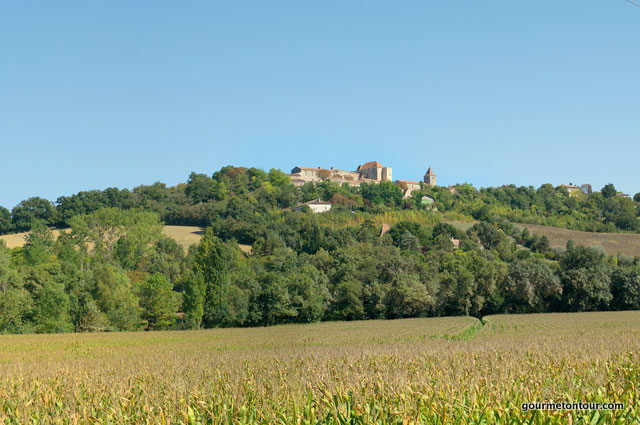 Gascony is famed for its garlic and is the true home of foie gras, making the region a gastronomic delight. 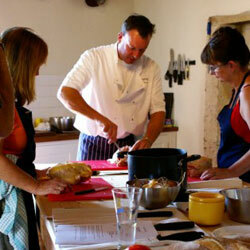 There is plenty to do & see during your free time or before & after your cooking course. Through the long history and invasions of Romans, Vikings and the Visigoths, the region is home to many attractions such as medieval castles, abbeys, cathedrals and fortified villages where still the presence of d’Artagnan the Musketeer lingers. 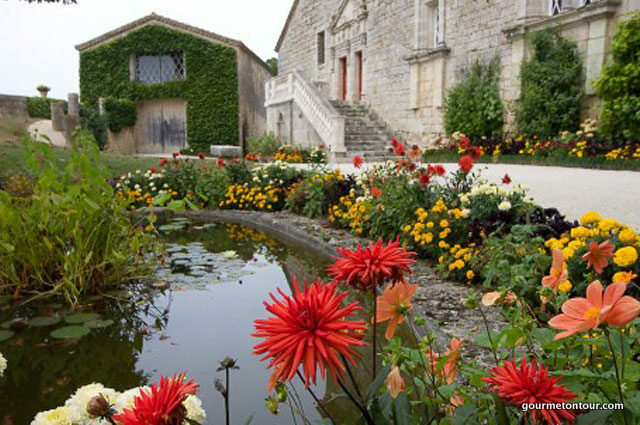 This untouched corner also offers magnificent walking and biking trips through the inviting vineyards of the Armagnac. Toulouse, Carcassonne, Bordeaux and the stunning Pyrenees are easily reached by car. For those who wish to extend their trip after the cooking school, Spain is just at your doorstep and Barcelona just a train ride away. 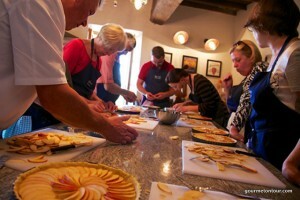 Our cooking school is a fresh approach to French cooking holidays, offering a truly unique French kitchen experience. There’s no sitting back here and admiring the skills of our chefs. With expert guidance they will show you through basic knife skills to creating some of the classic dishes of the Gascon region. You will be immersed in the enthusiasm and fun with our chefs from the moment you enter the kitchen. Through a strictly hands-on cooking experience the two chefs – one a professional English chef with a passion for French cookery and the other a French chef with over twenty five years experience of Gallic cuisine – showcase the best of Gascon cookery, and they do it in such a way that French cuisine becomes simple, accessible and enjoyable for all. Their unique Anglo-Franco partnership allows for a method of tuition that is completely accessible to English speakers, whilst at the same time preserving the authenticity of your truly Gallic experience of French cuisine. All classes are spread over our two kitchens within the village. 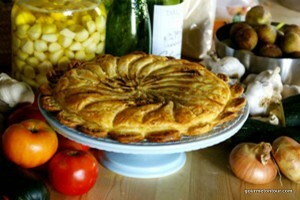 One in the leading Auberge of the region and the other within the cooking school’s own Table d’hote. Both are well respected for their use of fresh local produce and authentic regional dishes. All of the ingredients that you will cook with are sourced from the local, open-air markets which you will visit during your stay. Our cookery classes are about experiencing the full Gascon lifestyle and the diverse riches this area has to offer. 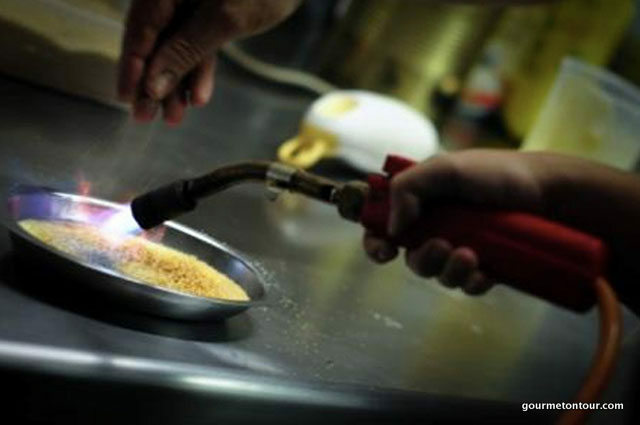 So whether you are looking to take your first steps in cooking, improve on those cooking skills you already posses or looking to learn the art of making fois gras and cassoulet, then this course is for you. 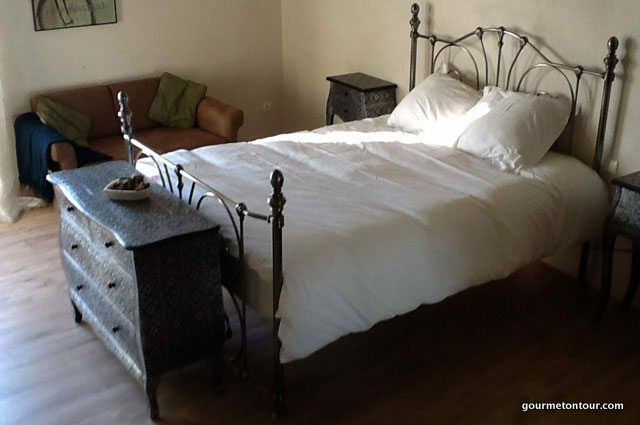 Our accommodation consists of six guest rooms, based on an authentic style of a French Chambres d’Hotes refurbished to a very high standard and offer modern facilities such as air conditioning for those hot summer evenings in Gascony. Our rooms are furnished in a style that is regional and in keeping with the magnificent build quality of our accommodation. All rooms have ensuite facilities, have air conditioning, heating and full access to the South-facing terrace. Set around a private terrace and garden with outstanding views of the Gascony countryside, our accommodation has something to offer everyone. Use the terrace to sunbath, read a book or visit the Chateau de Gramont. For those who are more energetic there are fantastic local walks. Additional weeks upon request, either as a private course or to join a group. The week-long courses run from Sunday – Friday. Transfers from Toulouse airport and local train stations (e.g. Agen) can be arranged at additional cost. Eurostar from St Pancras to Paris, change for Toulouse. Direct train from Paris to Agen. By car – Calais to Gramont, 610 miles. 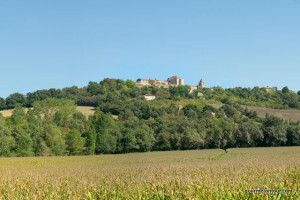 40 miles from Toulouse – 50 minutes by car. 65 miles from Bergerac – 1 hour 20 minutes by car. 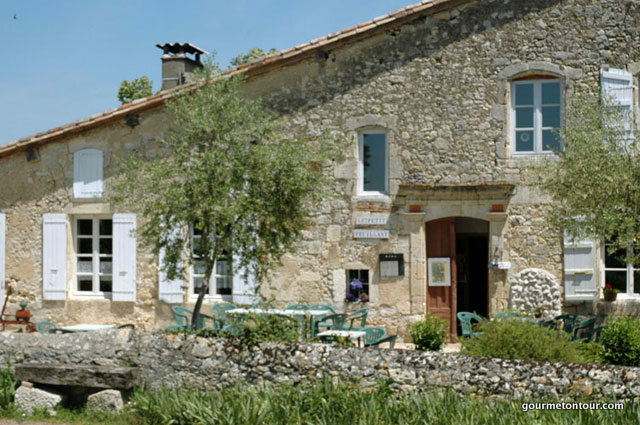 90 miles from Bordeaux – 1 hour 50 minutes by car. 70 miles from Carcassonne – 1 hour and 30 minutes by car. NB. All times quoted are approximate. A car is not necessary during the duration of the course. “I had a brilliant time!! David and Vikki were extremely professional, but also welcoming. They went out of their way to ensure we all had exactly what we needed!! The rooms/house/kitchen were clean and tidy, and I was never hungry or thirsty. I learnt a huge amount and felt comfortable asking questions etc. The food was to die for! I would highly recommend the course to any of my friends (both young and old). “I really enjoyed the time in Gascony, thanks for recommending it. The course was very hands on and the food was great (very much tailored to learning about the food from that part of France). “The cooking experience in Gascony was great! The hosts and chefs were very helpful and hospitable! The hands on cooking was handled very professionally and taught us from basics to very challenging recipes which was good. It was so much fun too. The music of David in the background put us all at ease. Accommodations were clean and comfortable. Food was superb! 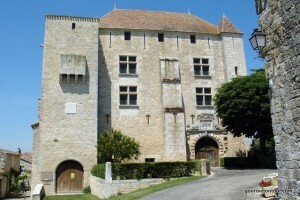 The side trips to Fleurance, Lectoure and the Armagnac Place with the tour of the Gramont Castle were quite interesting. It was truly a wonderful experience! Everything exceeded my expectations. I strongly recommend it. The course was fantastic. Everything about it exceeded my expectations! The days were extremely full, and we ate and drank well into the night, every night. I met wonderful people, learned to cook from amazing chefs in a beautiful setting, and have unbelievable memories. It’s exhausting, and I strongly recommend it!